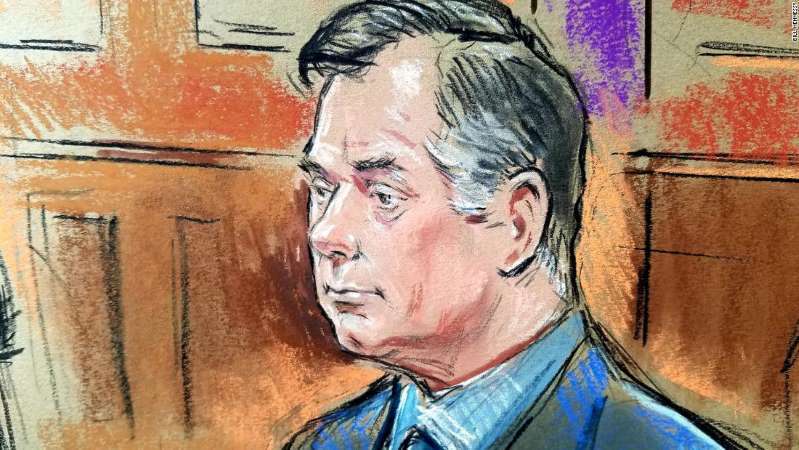 Paul Manafort's fate -- and possibly the future of special counsel Robert Mueller's investigation into Russian interference in the 2016 election -- is now in the hands of 12 men and women from Northern Virginia. The jury Thursday morning will begin debating the 18 counts of tax evasion, bank fraud and hiding foreign bank accounts facing Donald Trump's former campaign chairman. Manafort has pleaded not guilty to all charges. For the first time, jurors will see pictures of the $15,000 ostrich jacket, $18,000 python jacket, and other high-end clothes Manafort purchased using foreign wire transfers. They will also debate the testimony of Rick Gates, Manafort's former deputy who admitted to embezzling hundreds of thousands of dollars. And they can pour over reams of emails, tax forms and financial documents that prosecutors say are the "star witness" in their case. But the courtroom drama will be nothing compared to the political earthquake the verdict will bring, regardless of which way it comes down. [post_ads]The President has repeatedly called Mueller's investigation a "witch hunt" that hasn't found evidence of Russian collusion with his campaign, and Trump's allies in and out of the White House say the special counsel should wrap things up. "If he doesn't get it done in the next two or three weeks we will just unload on him like a ton of bricks," Trump lawyer Rudy Giuliani told Bloomberg News. Manafort faces up to 305 years in prison if convicted on all charges. He has pleaded not guilty to all charges. CNN's Aaron Cooper and Devon Sayers contributed to this report.